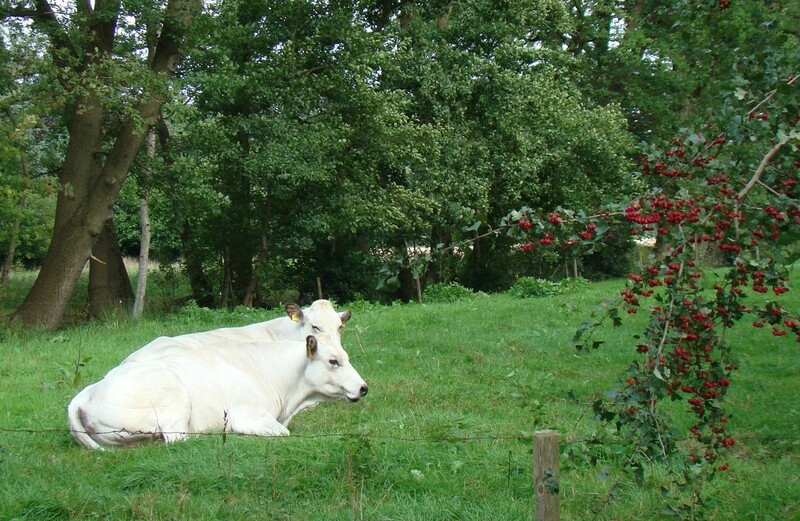 Beautiful white cows make a lovely composition with the red berries. Beautiful white cows they really take your eye and then you notice the subtle red of the berries - - nicely composed Bep ! It is idyllic and reminds me. I’ve never seen a picture of it but my mom often told me of when she was 11 and had a milk white cow she had trained to allow her to ride it. Beautiful image & contented cows. En: Blauwe sokken. :-) Moie foto en koeien. Companionship even with cows is lively...two friends together!